2012, and what can be argued as Apple‘s busiest year since the original iPhone launch, is coming to a close. 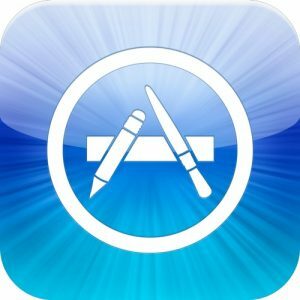 Not to be forgotten in this busy year are some of the great iOS Apps that have made their way into the App Store; some big names hitting huge revenues, with some perhaps going under the radar. Here are just a few of the Apps that have caught my attention in 2012. The guys over at Rovio did it again. Bad Piggies is by far the best game I have played on iOS. Taking the Angry Birds concept to the next level, you are required to build a transportation device to get a Piggie from one side of the map to the other. Sounds simple, right? Using a variety of tools and equipment, this game is sure to keep you occupied for hours. Winning iTunes 2012 Editors Choice App of the Year award, Rayman Jungle Run brings the legendary platform jumping hero to the iOS world. It has fantastic graphics and reminds me of my childhood. A must-have for any Rayman fan. A relatively new game to the App Store, Letterpress features a stunning UI, which is very remnant of the WP8 Metro look. This free download offers a multiplayer, crossword-type experience, where you battle opponents to capture squares by making words. Think Scrabble meets Boggle meets Risk. Platform games have probably been one of the most popular iOS gametypes in 2012, but Ski Safari sticks out amongst the rest. The aim is to try and get the little skier as far as you can, using the local wildlife for help, to avoid the chasing avalanche. A simple idea and brilliantly executed, with fantastic graphics. Undisputedly the best drawing/note-taking App of the year, Papers is intuitive, flexible, and powerful. Capture your ideas, sketches, diagrams, illustrations, or notes, and store or share them in an easy-to-use graphical interface. And the best feature? It’s free. A must for any productivity iPad enthusiast, Pages is the most beautiful word processing App you’ll see on iOS. Designed by Apple, you know quality is ensured, and this reason alone is what justifies the slightly higher pricetag. Bringing the popular editing software to iOS, Adobe Photoshop Touch is any photo editing users best friend. It is powerful, has a great interface, and produces very satisfying results in the attempt to truly cut the cord to your desktop or laptop computer. There are undoubtedly Apps that I’ve unfortunately missed, but I’ve listed those that have found a permanent place on my iOS homescreen. 2012 has been a great year for iOS Apps, as well as iOS devices, and I am extremely excited to see what 2013 has in store for us. Please feel free to comment and share your best App of 2012.